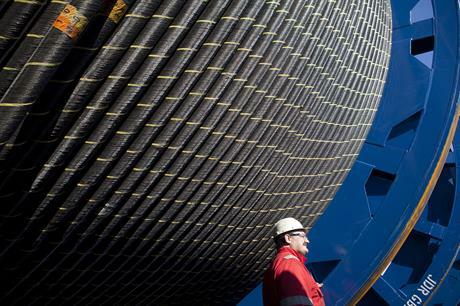 UK: Polish firm Tele-Fonika Kable (TFKable) has acquired British subsea cable manufacturer JDR Cables. The Polish firm also manufacturers wires and cables for the energy, telecommunications, shipbuilding and mining industries. Financial details of the transaction were not disclosed, but the deal is expected to close in Q3, subject to regulatory approval. TFKable said it intends to continue operating JDR in its current locations – it has a major manufacturing hub in Hartlepool, north-east England – with the same staff and partners. "TFKable is a strategic investor with long-term vision for JDR, sufficient resources to support its continued growth, and vast knowledge of the market," said TFKable CEO Monika Cupial-Zgryzek. JDR has supplied numerous offshore wind projects. Most recently, it was selected to provide 66kV inter-array cables to the WindFloat Atlantic project in Portugal and was named preferred supplier for the 750MW Maryland development in the US. In the UK is also has deals with Dong Energy for the 1.2GW Hornsea Project One and with ScottishPower Renewables for the 714MW East Anglia One site, both in the North Sea. David Currie, JDR's CEO, commented: "This acquisition creates a strong platform for JDR to enhance its position in offshore energy cables and umbilicals. It demonstrates the value JDR's leadership has created through targeted investment in subsea technology, services and manufacturing facilities, and the talent and expertise of our staff. This news marks the next exciting chapter of our business."